Cryptocurrency market is an investment pool and any investment, a small or big requires attention and some calculations. It is very crystal clear that 2018 has been a harsh year for crypto and disappointed the investors and traders a lot. However, in such market status and trend, some investors and traders managed to make their profit well. It is the nature of cryptos to fall and rise in terms of price. This is all about calculations. So, what are the factors that influence the crypto market, that we can keep in our mind for our profits to survive in the bearish market as well? The first and foremost thing for any cryptocurrency is the total supply of the coin. Cryptocurrency is volatile in nature and is a scarce resource too. There is a fixed circulating supply for each cryptocurrency which is different than total supply. As a limited number of currencies is circulating in the market, it is valuable however as it is limited the inflation may not go longer and reach saturation at some point. We are living in an era where news reaches to us before an ambulance. Media plays a very significant role in manipulating people’s perception. Events from all over the world impact the crypto market. Any positive news about the cryptocurrency may bring a positive hike in the price and similarly a piece of negative news brings a serious dip. This has mainly short term effect in the crypto market. News and media can cause instant panic as well as boost excitement. It is worth noting to have an idea of the world and consider the impact of the same on the crypto market as well. This is the time of technological advancements. From kids to senior citizens technology has reduced the difficulty if our lives. It is very important for any cryptocurrency to be strong in terms of technology. For example, when Bitcoin was invented, the blockchain technology behind was new and strong. This made Bitcoin useful and popular. Later when Ripple came, it proved itself extra-ordinary in terms of technology and it secured the safest place in the market despite many critics. Technology plays the most important role and it has a long-term effect on the growth of the crypto. Remember, technology is the need for today. Political and government regulations also play a major role in the crypto market. Any country’s government has the power to regulate the use and trading of cryptocurrency in their country. If a country bans cryptocurrency trading, the market falls in no time. When South Korea took a decision to close all the cryptocurrency exchange it had a huge and long-term effect in the crypto market. Such regulations can bring both positive and negative impact and it is generally long term. For example, if any government declares any cryptocurrency legal and starts using it, it can boost the price instantly. Economic stability is also a key factor in the crypto market. Economic instability can cause investors and citizens of the country to look for an alternate option which is the digital currency. Cryptocurrency is still in its initial stage and its volatility may impact the market in bad terms. Cryptocurrency market is highly impacted by the fear of traders. Fear Of Missed Opportunity is in the majority of people and it influences the crypto market a lot. The activity of traders basically increases and decreases the price of currency momentarily. It is very important to make independent and wise decisions. Sometimes the fear led to the speedy sale of a coin which may perform well and similarly we end up buying some coin which never gonna give us any results. So, while buying and selling any cryptocurrency you should not follow the crowd but your calculations. This is a very essential factor in the price of the crypto market. During the Birth of Bitcoin, it was nothing but new technology and a digital token. There was speculation in 2017 about the price of Bitcoin that it is increasing, and it will increase. It worked. The price of Bitcoin has crossed all the bars. 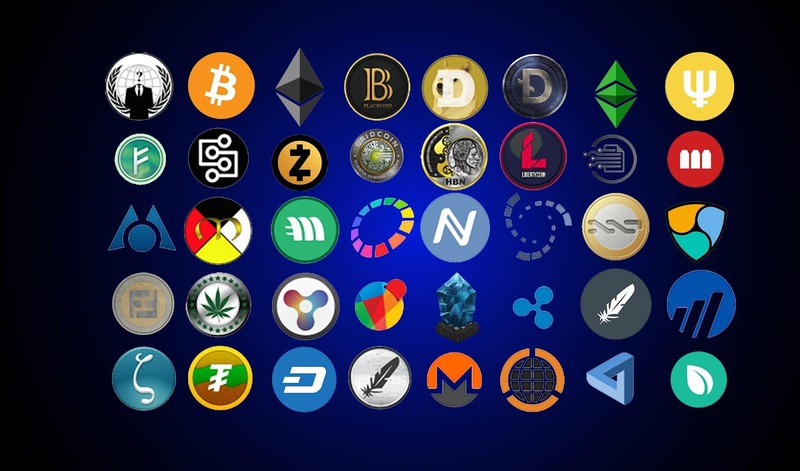 Any Rumor about a coin getting listed on a new exchange and working with new clients attracts the traders and results in a sudden increase and decrease in the price. This is a short-term effect however it could last for a long time too. The technology behind cryptocurrencies is new and there is a wide space for cryptocurrencies to grow. Now the cryptocurrency needs to have something to sustain. The success of any currency completely depends upon the public interest. The more useful and interesting a crypto is for the public, the more are the chances for it to survive and grow. This is very thoughtful, if an asset has a value which it can add to anything, it can make a difference for sure. And there is always a secured place for something valuable even in the bad times. So, the value a cryptocurrency can add, and its use case is one very important factor to decide its worth. Value drives the market. Security is the key factor! The biggest cryptocurrency exchange in the world got hacked. Investors and traders lost millions of dollars and the crypto market is left with a negative impact. This was something unexpected and unpredictable. Above all this left a long-term effect on the crypto market. If any currency or exchange is not as secure as it should be, no matter how advanced technology it has, it is not worth anything. Crypto market is in its initial and developing phase. A lot of new coins are coming and some old ones are left with the ashes only. There is always a constant competition between all these cryptocurrencies which is the must. As of now, Bitcoin is ruling the market with Ripple and Ethereum in tough competition. To beat Bitcoin, any other coin should have one or two quality better than Bitcoin. So, this internal competition is for the betterment of all the cryptocurrencies which leads to the betterment of the crypto market, investors and traders.